Unsworth LaPlante, PLLC is a trusted provider of elder law and estate planning services in Rutland, Vermont and surrounding areas. Everyone, from the young to the old, can benefit from speaking with a member of our legal team to learn how elder law can protect your interests. Elder law is about more than just creating a will, although that is important too. You also need a plan to take care of underaged children and pets if something happens to you; to grow and protect your wealth; and to plan for a serious illness or injury. Our firm handles all of these issues and more, and we arm you with the legal tools available under Vermont law to achieve security for yourself and for those you love. Rutland is the county seat of Rutland County, Vermont and has a population of just over 16,000. It is located in the midst of the town of Rutland, and is approximately 20 miles to the east of New York State. Rutland is Vermont’s third largest city, beat only by Burlington and South Burlington. Rutland’s downtown area is listed as a historic district on the National Register of Historic Places. Its downtown includes an area called Merchant’s Row, which is a restored street that dates back to the mid-19th century. There are more than 108 buildings in the downtown area that are listed independently on the National Register of Historic Places. Residents and visitors can also enjoy Pine Hall Park, which is a 275-acre park offering hiking, mountain biking, and other recreational opportunities. Rutland is home to the second largest healthcare facility in Vermont, Rutland Regional Medical Center. 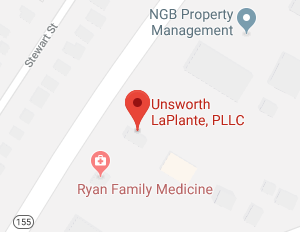 Unsworth LaPlante, PLLC provides advice and guidance to residents of Rutland who want to ensure they have made provisions for medical care in case of an emergency. Planning for incapacity and making healthcare decisions in advance is just one of many services offered by our elder law and estate planning attorneys. In Rutland, Vermont, 18.2 percent of the city’s population is 65 or older. Among households within Rutland, 13.9 percent of the households are headed by someone aged 65 or up who is living alone in his or her home. Many seniors who are living alone will end up needing some type of home care or assistance with activities of daily living as they age. Seniors living either alone or independently may need to go into a nursing home if they develop dementia or other serious medical conditions, or if they become unable to do routine activities like bathing and cooking for themselves. Caring.com indicates there are four nursing care facilities located directly within Rutland, Vermont, with additional facilities in nearby areas throughout the county. Before going into a nursing home, seniors or their families should consult with a Rutland elder law attorney to review nursing home paperwork and to ensure that the resident understands his rights as a nursing home resident. An attorney can also provide guidance an options available to pay for nursing home care, including Medicaid and veteran’s benefits. If there are problems such as suspected abuse, contacting a legal professional becomes essential. Asset planning. People of all ages can benefit from comprehensive advice. You can work with a knowledgeable legal professional to determine how much to save for retirement, what types of tax-advantaged savings accounts are available, and how to make your nest egg last during retirement. Asset protection. Find out how to keep assets safe from creditors or during divorce, how you can protect spendthrift heirs, and how to make sure you do not have to spend down assets to qualify for Medicaid nursing home coverage. Estate planning. You can create a comprehensive plan to facilitate the transfer of your assets to heirs, to minimize or avoid estate taxes, and to support charitable causes so you can leave behind a strong legacy. Incapacity planning. This involves making sure decisions are made regarding healthcare if you cannot communicate, as well as making provisions to ensure your assets are managed effectively no matter what happens to you. These are just a few of the many different services that we can offer to clients throughout Rutland, Vermont. We are trusted by many clients within the local area because our attorneys have decades of combined experience and because we know Vermont laws on asset protection and estates inside and out. The vast majority of elder law matters don’t involve going to court. Instead, you’ll work with an attorney to create a will, make an asset protection plan, create a trust, or do other essential tasks to secure your future. For many clients seeking estate planning services, a part of their goal in getting legal help is actually to assist their families in staying out of probate court. Sometimes, however, there are legal matters which do necessitate going to a courthouse. One example is when guardianship proceedings must occur because someone has become incapacitated without a power of attorney in place. Another example is when someone has passed away and assets must be transferred through probate. When assets have to be transferred through probate, the probate process occurs in the county where the deceased owned the assets. For those who owned property within Rutland, Vermont, the property falls within Rutland County and probate will occur at the Rutland County probate court. According to Vermont Judiciary.org, this court is located at 83 Center St, Rutland VT 05701. The telephone number to reach the probate court is (802) 775-0114. 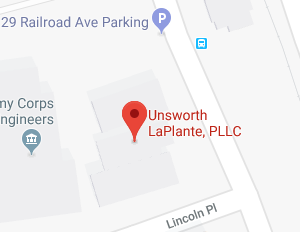 When you live in Rutland, Vermont or surrounding areas and you need a local law firm that cares about clients and is focused on providing comprehensive elder law and estate planning services, Unsworth LaPlante, PLLC is the firm for you to turn to. Our legal professionals are ready to provide the comprehensive, personalized advice that you need with all of your elder law and estate planning issues. We help clients of all ages and we are committed to advising you so you can make full use of legal tools to achieve a secure future for yourself and those you love. Give us a call today to learn more.